Should I Hire a Log Home Builder? Matching Our Log Home Passion with Yours! 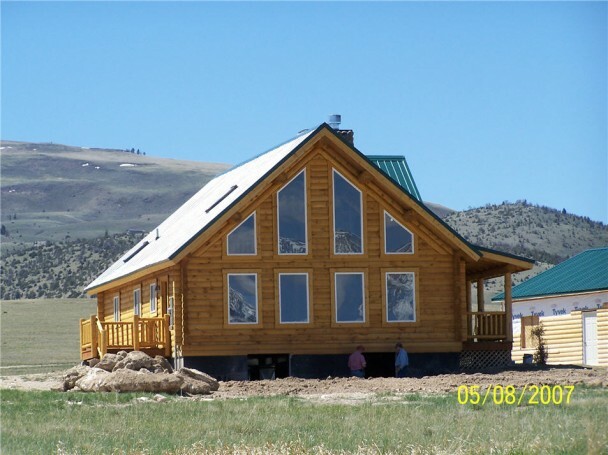 Luxury log homes are a specialty of Cowboy Log Homes. All of our homes are crafted with the pride of over 30 years in the industry. The logs we most commonly use for the luxury homes are anywhere from 12 to 24 inches in diameter and go up to 50 feet in length. These large logs are Scandinavian Full Scribed together for the closest possible fit. Today, the snow is slipping off of the trees in our yard this morning. Here in Bozeman, Montana the snow is flying for another year. Many times people think of winter as a slower time of year in the log home construction world. That can be true, but many wise homeowners are gearing up now for building next spring. From luxury log homes to small cabins, none of them are built over night. I’d like to take a minute and share with you the process many of our customers take for the larger luxury log homes. Though all log home owners feel that their home is a luxury to live in, and rightly so, the luxury that I am going to be referring to is the luxury that is found in the combination of large square footage homes– over 2,500 square feet– and constructed in our handcrafted log home style. Handcrafted log homes are the very most lovely of all of our home styles. For the look of solid log, rustic alternating sizes of logs, and the old world Scandinavian Full Scribe method, the handcrafted log homes are the very tip tip top. Log species for the handcrafts include Lodge Pole Pine, Engelmann Spruce, White Pine, Douglas Fir, and Western Red Cedar. The very first step in being able to choose which floor plan is right for you is to secure the land on which you want to build it. This sounds like an elementary step, but at times people try to choose the home plan before they choose where they are going to build it. Exploring floor plans is a great idea, but the property itself may dictate which home layout will harmonize the best with the lay of the land. One homeowner that we worked with purchased some land sight unseen. They spent several weeks of time working with us to lay out the floor plan and modify it to his needs. Then when he actually saw his new property he discovered that the luxury log cabin we all had worked hard on was no longer at all what he wanted. So the land is a key factor. The next step is to choose a floor plan that you like. Floor plans on our website are broken down by size. Cabins are typically those under 150o square feet. Mid range homes are between 1,500 to 2,500 square feet. 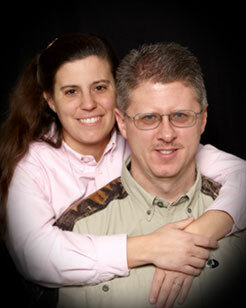 And our luxury log home plans are those over 2,500 square feet. Some homes in the smaller square footage categories are less square footage because more of the home is left open to below with only a small loft on the second floor. Once you have a floor plan chosen then we can provide a price quote estimate based on your specific log home floor plan. For handcrafted log homes typically we supply a quote on just the log material first. Then once all of the details in floor plan revisions is worked out, then we proceed with a full dry in log home package quote. Then next step for the homeowner is to being interviewing log home builders. We are builders, but there are only so many we can construct ourselves, so we also have log home builders that we can refer our customers to. It is a good idea to ask the builder not only a turn key price, but also a price for just erecting the log home package. This is called a dry-in price. Once the dry in is completed– i.e. all the logs stacked, roof system in place, exterior doors installed, windows installed, exterior trim mounted, roofing material completely done, interior staircase installed, 1×6 tongue and groove nailed into place and all interior framing done– then the home becomes very much like a standard construction home to finish. Many of our homeowners plan from the very beginning to have a builder erect the dry in package and then they finish the inside themselves. The finish work can be accomplished by either actually doing the labor themselves or subcontracting out the rest of the work. The next step is to go ahead and sign the contract with us to lock in the price and move forward with securing the log material and other material as listed above to complete the dry in package. At this point a 15% deposit is required to lock in the price. By approaching this in the fall and making the deposit many customers have been securing substantial scheduling discounts for 2011 build dates. One luxury log home package that we just quoted for a customer actually saved them $32,000 by moving ahead and signing the contract. The 15% deposit locks in the price and also finalizes the drawings. Finalizing drawings can take up to 6-8 weeks depending on h0w diligent the homeowner is in returning prints with modifications and also on how quickly the homeowner makes choices and decisions about the floor plans. Once the drawings are finalized then the home logs can begin to be cut and prepared for use in the log structure. At this point an additional 35% deposit is required. For a home in the over 2,400 square foot range, or our luxury log home size, it can take anywhere from 12 to 16 weeks on average to actually craft the home. Once the home is crafted then the logs are hand sanded, numbered, and dissembled for shipment. Two weeks before the scheduled load date the additional 50% balance is due. Now comes the part of actually shipping the home and having it arrive at the job site. Ahead of time the job site should be prepared with all of the foundation work in place before the package arrives. Also a crane must be one site to unload the logs and stack them directly onto the foundation. Many of our homes require about three to four trucks to transport the log home logs and material. The trucks are loaded with the bottom logs on top. To help with timing issues we stagger the trucks a day or so apart so that all of the logs do not arrive at the same time. Average unload time allowed for handcrafted loads is about eight hours. Within a few days all of the logs are stacked and the roof system is in place. Depending on the size of the crew and the size of the home a full dry in package can be erected within a few months time. It has been proven time and again that luxury log homes for sale last longer, appreciate more, and appraise for more almost anywhere in the United States. If you are choosing to build a log home it is important to select a supplier and a builder who have a passion for the log homes. Many builders know that log homes take more skill and time so they try to sell everyone a stick frame home with log siding and a few log beams. That is not a log home. That is a poor imitation of one, in my opinion. So don’t despair if the first contractor you talk to has no interest in log homes. Luxury log homes and luxury cabins are the top of the line. So when your turn comes to build, just give us a call. We always love to speak with people who share 0ur passion and love for these beauties that are simply called log homes.